City of Bristol College, one of the UK’s largest further and higher education colleges, recently selected Remeha to provide an improved and more efficient heating solution for its College Green Centre, which covers approximately 150,000 square feet and caters for more than 1,500 students. The new heating solution involved the installation of four Remeha P420 12 Section boilers located in the east and west plant rooms on the roof of the building, each powered by Baltur TBG 85pn fully modulating gas burners producing a total output capability of 2900kw. The burners were supplied by EOGB based in St Neots, Cambridgeshire. 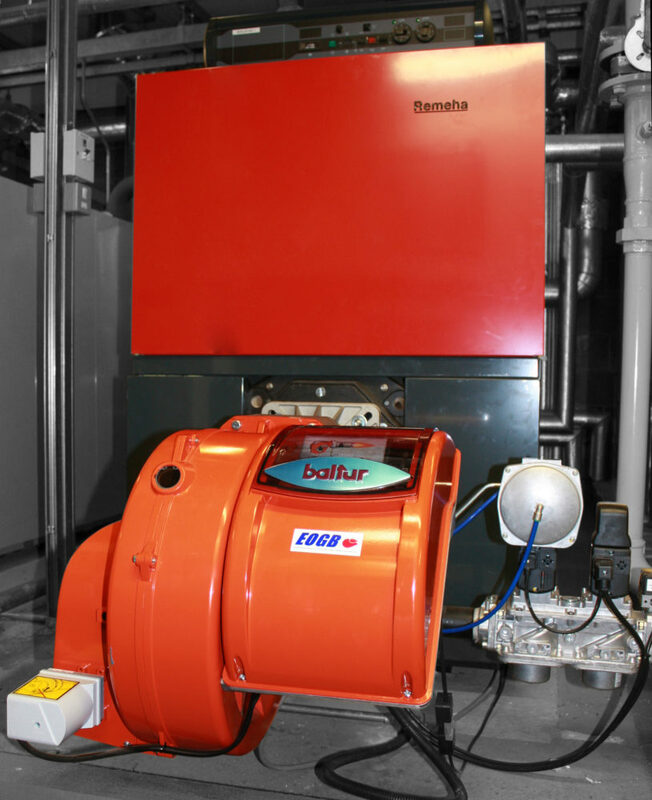 By replacing the old two-stage burners with fully-modulating EOGB/Baltur burners, the college now benefits from efficiency gains of more than 30%, leading to significant energy savings and CO2 and NOx reductions. At the same time, the units have superior reliability and lower maintenance costs. The EOGB/Baltur fully modulating gas burner range is available with outputs from 50kw to 10,850kw. The burners have low CO and NOx emissions and are easy to install which enables a trouble-free commissioning which is fully supported by EOGB engineers.